The Harrisburg area in central Pennsylvania is packed full of history. As you drive around the area, you'll encounter at least 30 different historical markers that teach us about the forgotten past. Over the past 4 years, as we've stumbled upon these historical markers, we've been documenting them here on the blog. Under Capt. 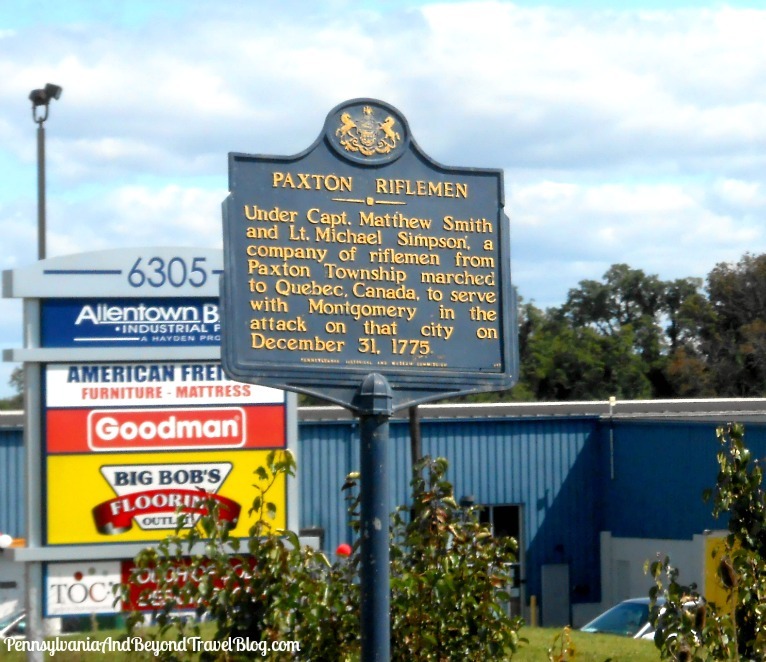 Matthew Smith and Lt. Michael Simpson, a company of riflemen from Paxton Township marched to Quebec, Canada, to serve with Montgomery in the attack on that city on December 31, 1775. By: 1947 by Pennsylvania Historical and Museum Commission. 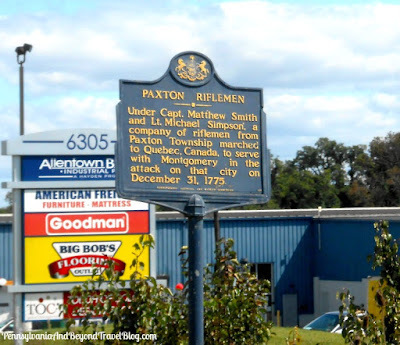 This group of skilled riflemen from Paxton Township marched to Quebec, Canada to serve there with Richard Montgomery. Montgomery and Benedict Arnold had amassed a combined fighting force of 1200 American and Canadian militia, intending to attack Quebec. Their intention was to capture Quebec, drive the British military out of the province, and garner French Canadian support for the American Revolution. The attack, however, was unsuccessful and resulted in Montgomery’s death, Arnold’s wounding, and the capture of more than 400 of their soldiers. Note: The info above is courtesy of Visit Hershey & Harrisburg website.